Slip rate increase and failed attempt to evict boaters raises questions of affordability and management. 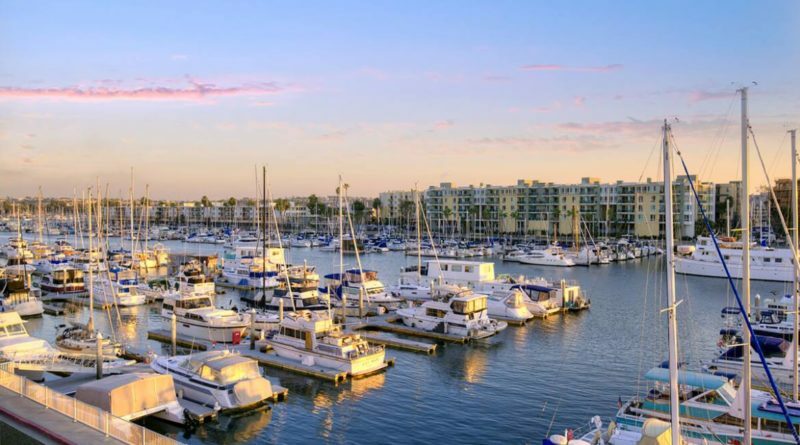 MARINA DEL REY—A planned discussion of appraisal work for Marina del Rey slips morphed into a heavy conversation on an attempt to evict boaters from Wayfarer Marina and a spike in slip fees. Boaters spoke to members of the Small Craft Harbor Commission on Dec. 12, 2018 and expressed a variety of concerns surrounding current upgrades being made at Marina del Rey’s Wayfarer Marina, including the cost to rent temporary slips there while construction is done on the permanent docks. “They said they would move us into temporary slips. They’re doubling the rent for those temporary slips. We are up to our own devices to get to those slips,” Michael Masterman-Smith, who owns a 32-footer in the Wayfarer basin, told commissioners. “As of January 1st, rent would be doubled, and those are temporary slips. Then they are going to move us back to where we were. “We’re all going to be separated out. Docks are neighborhoods. Those neighborhoods are basically being ripped apart. We’re being put wherever they want to put us and then doubling our rent,” Masterman-Smith continued. A representative from Wayfarer Marina told commissioners the slip rates would increase from $15 per linear foot to $23 per linear foot. The boat owner also reminded commissioners of a botched attempt to evict boaters at Wayfarer Marina. Boaters at the marina were given 90-day eviction notices in April, though the notices were later rescinded. “We were told we were evicted, then the evictions were taken away, then they said you could stay, then they said they would take care of us, make sure everything was going to be whole in the process, and it was gong to be cohesive. It wasn’t cohesive,” Masterman-Smith said. Rick Mettler, a liveaboard and veteran who has been in Marina del Rey since the 1960s, said boaters and others are slowing being priced out of the area. “I’m finding it hard to survive around here,” Mettler, who has one boat at Wayfarer Marina and another at Marina City Club, told commissioners. Bob Atkins, who keeps his 41-footer in the anchorage, said Marina del Rey actually has limited resources to serve boaters and others. Wayfarer Marina’s renovations could be completed by May or June of this year. Marina staff stated those who are relocated to temporary slips would be given the option to return to the new slips once construction is done. Slip owners of senior citizen age would be given a one-time, one-month concession on renovated rates. Marina staff is also considering a discount for veterans. The marina was never meant to be affordable housing for dilapidated boats that don’t work and pump sewage directly overboard. The new pricing is exactly what the other marinas are charging. If you want affordable housing, apply for Section 8. Stop complaining and realize that you are lucky to be a liveaboard. It is a privilege! Not a right. How about you show some gratitude for the years that were able to live cheaply? Most of you old liveaboards are actually polluting the marina and your boats look terrible. And now you want the leaseholder to subsidize your rent?? Grow up. Take responsibility for yourself. You are not a boater, you are a camper, and the marina is better off without you. Marina del Rey was meant to be a recreational boaters harbor, not low income housing for poor crybabies. MOVE! And I am a liveaboard, on a sailboat that regularly sails, with a biweekly pumpout. Not an old piece of crap that never leaves the dock. You make us REAL boaters look pathetic with your complaints.